Dealing with makeup is tricky. You have to find what works for your skin, how to wear it and deal with lipsticks that smudge. But when it comes washing off your makeup, there is no gray area. The skin on your face is one of the most sensitive areas on your body and you need to take care of it. That means washing off all makeup before bed, no questions asked. Your skin has tiny pores that are just asking to be clogged. When you don't remove your makeup and wash your face before bedtime, layers of foundation and bronzer burrow into the pores. Add in some sweat and dirt from the day and you have a recipe for clogged pores. Keep your skin healthy (and happy) by thoroughly removing all traces of makeup before calling it a day. Along with enhancing your natural beauty, makeup basically suffocates your skin. Thick foundations and powders settle in your pores and don't let your skin breathe during the day. It's important to let your skin have a break and breathe. The best time to do that is during nighttime when your skin repairs itself while you sleep. Don't block that process from happening by sleeping with makeup on. Personally I like to take one day each week where I take a break from makeup. My skin feels healthier when I do. Your skin is delicate and should be treated carefully. Particles from the air, dirt and makeup (if left on) damage your skin if you don't take care of it. Overtime, this habit will increase the stress on your skin and you will see signs of premature aging. Wrinkles and dark spots will appear faster than you would have hoped. By leaving your makeup to sit on your face all night, you are creating the perfect environment for pimples. Someone who sleeps without washing their face off at night is practically asking for breakouts. Skin on your face is sensitive. Your skin naturally will react to something that prevents its healing properties. Makeup prevents your body from producing those particles that want to mend your skin. 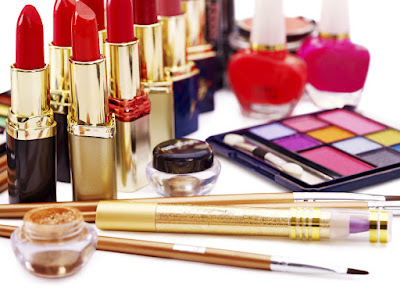 Leaving makeup on your face can cause swelling, rashes or dry patches on your face. Always remove makeup and smooth your skin over with a good moisturizer to rejuvenate it after a long day. Remembering to remove you makeup before bed is a naturally easy way to assure that your skin stays healthy and happy.